I have finished painting the inside of the canoe I have been working on for some time. 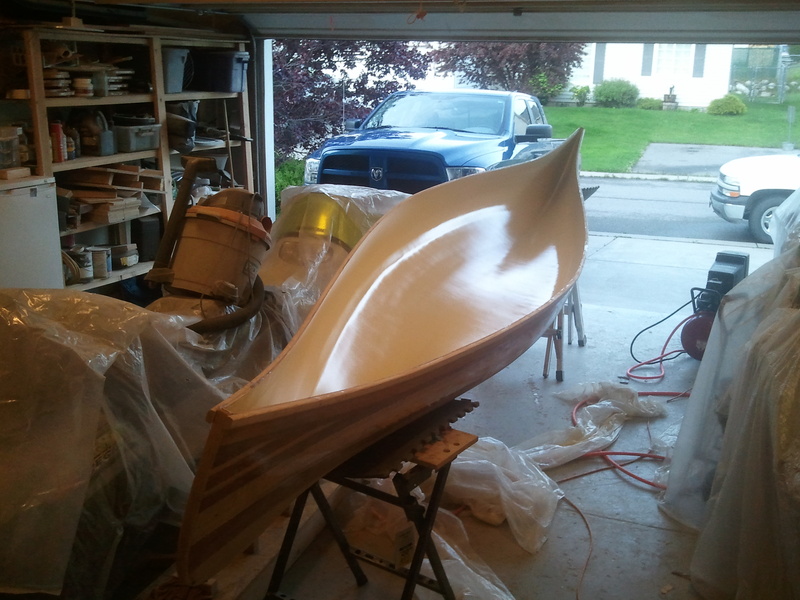 I find canoes challenge my artistic interests in wood boat building. I much more prefer to design a pattern of strips along the deck of a kayak that works well as a pallet. I do love the sweeping curves of a canoe however and I enjoy the building process that allows me to slowly create these gentle curves. In this case I have been struggling with my artistic drive that insists I build a classy and beautiful boat. I decided to paint the interior with a marine quality paint using a pneumatic sprayer. I chose a cream color that will compliment the unstained ash gunnels, seats and yoke. The outside of the boat is smooth as glass and will finish bright with several layers of varnish allowing the curly maple and mahogany accents shine through. 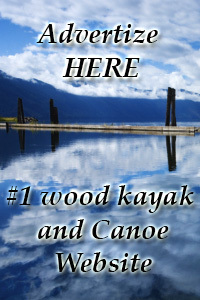 This entry was tagged cedar strip, Heirloom Kayak, kayak, kayaks, wood boats, wood kayak, wood strip. Bookmark the permalink.